There are a number of films that may well have made this list which I’ve missed out on seeing. 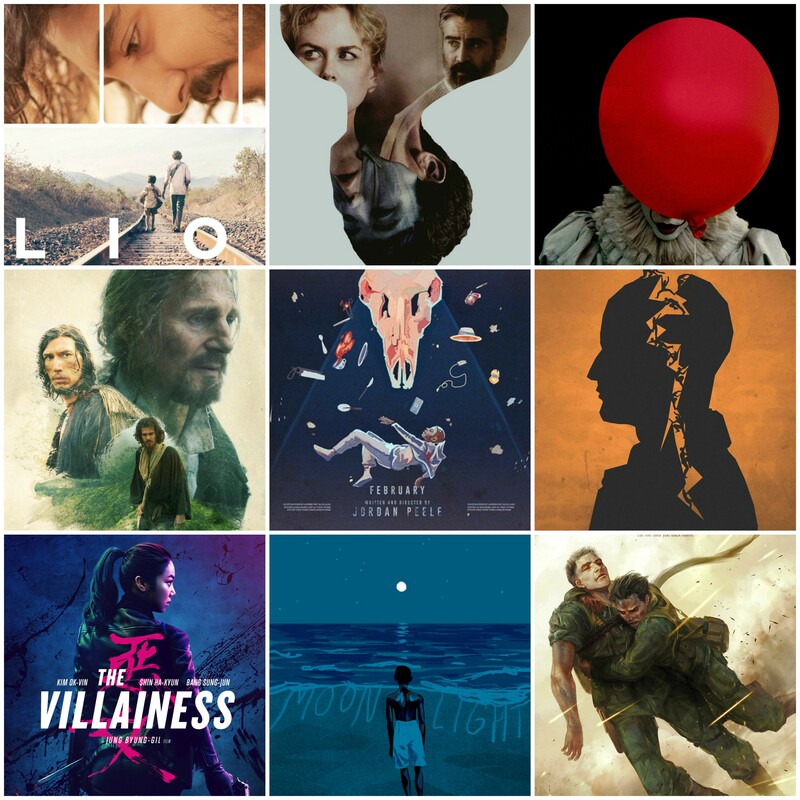 These include Blade Runner 2049, Call me by your name, Beats per minute, A Cure for Wellness, Life, Berlin Syndrome, The Beguiled, It Comes at Night, The Florida Project, Logan and Fences. The unlucky few which deserve a special mention: The coma-inducing Mother! The murky story of McDonalds in The Founder, the power of Okja, Park Chan-Wook’s intricate thriller The Handmaiden, monster fun in I am not a serial killer, the woozy delights of La La Land, Ben Wheatley’s warehouse shoot-em-up Free Fire, I Don’t Feel at home in this world anymore, the stylish vibes of Baby Driver and the pulsating heist thriller Good Time. 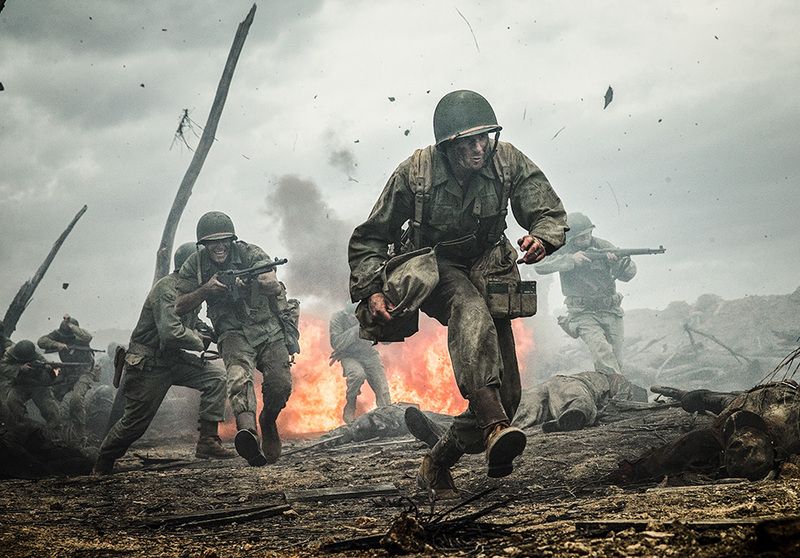 War epic that shined a light on the remarkable story of WWII American Army Medic Desmond Doss, who served during the Battle of Okinawa. A devout, idealistic religious man refused to kill people, and became the first man in American history to receive the Medal of Honor without firing a shot. A moving tribute with Garfield brilliant in the lead role. “With the world so set on tearing itself apart, it don’t seem like such a bad thing to me to want to put a little bit of it back together. It should be said that Terrence Malick is one of my favourite living filmmakers. With that being said, while Song to Song is entrancing and mesmeric with the Malickian sensibilities intact; it didn’t move me or hit me in the same vein as Knight of Cups last year. A rolling romance, a complex web of romantic relationships that intertwine like lost fragments of memory scraped together on film. Gosling and Mara have real chemistry here as they shine light on human weakness. There are few who can capture such raw emotion on film. Scorsese bares his soul in this sprawling odyssey of faith, doubt and the systematic persecution of a religious movement. Silence rattles the spiritual cage with a ferocious and drawn-out intensity. It’s a deeply humbling and often punishing experience that challenges fundamental religious ideals and gets under the skin of the complex relationship with God. 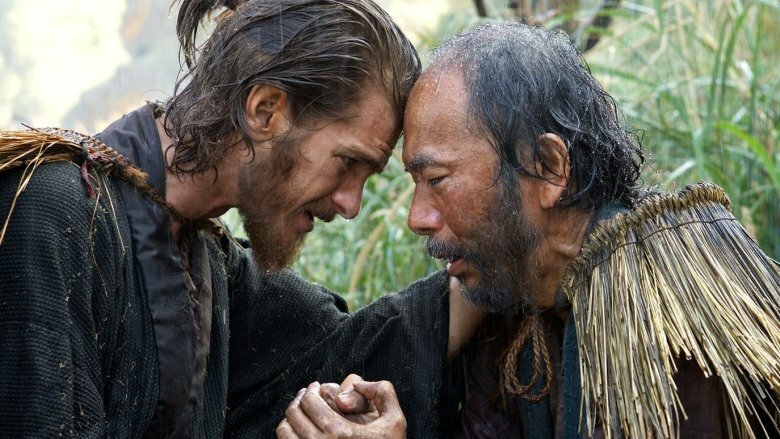 This is where the scorching power of Silence resides; in the embers of its nuanced portrayal of the doubts and rigours of faith in times of extreme mental and physical hardship.Scorsese’s tackles the very essence of faith, the conclusion is sentimental but beautifully poignant, however lost one might feel, the belief of something greater is not misplaced. No matter how loud the roar of silence may become. An ultra-stylish and chilling piece of work written and directed by Frenchman Olivier Assayas. A story about a personal shopper to the stars who also happens to be a medium who can contact the spirit world. Maureen’s twin brother has recently passed and she waits in Paris to get a ‘sign’ from him while doing her day job of shopping for an A-list supermodel. A blend of genres makes for a creepy and unsettling ghostly story with a thriller mindset. Kristin Stewart is fantastic as she undergoes somewhat of a quarter-life crisis and seeks to find meaning in all things around her. A mysterious string of text messages escalates into a full-blown murder investigation. Subtle and unsettling. “I mean there are invisible… presences… around us. Always. 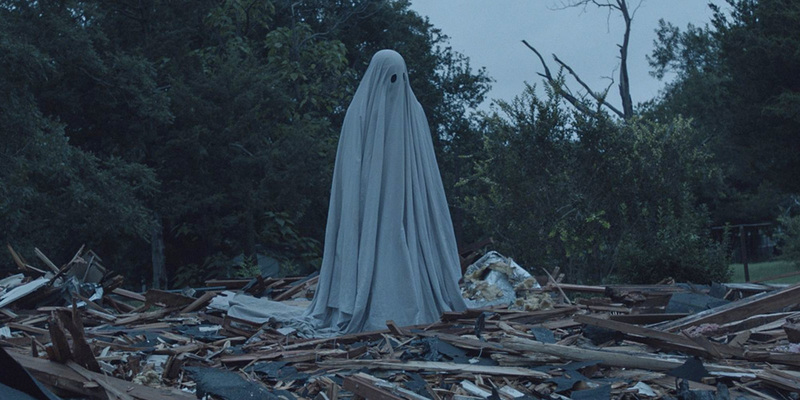 I mean whether or not they’re the souls of the dead, I don’t know, but… You know when you’re a medium you just are attuned to some sort of… vibe. Christopher Nolan’s visionary homage to the ‘Miracle of Dunkirk’ is a technical masterpiece. The evacuation of Allied soldiers during World War II from the beaches and harbour is given flight by the director’s remarkable attention to detail. It’s an agonisingly tense and thrilling theatrical production that captures the spirit and feeling of the great escape. It’s the closest we’ll ever get to that beach and is about as immersive as the silver screen has to offer. 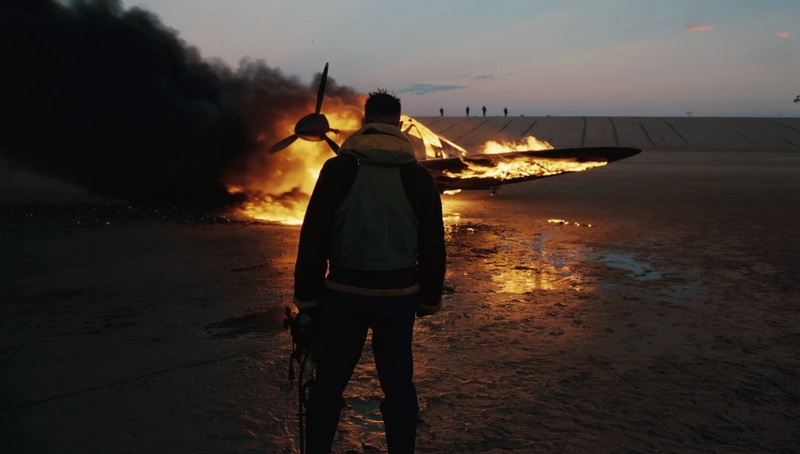 It’s not my favourite Nolan film by any stretch of the imagination and didn’t move me in the way i was expecting but there’s no doubting its mastery. It is a rampant force that floats out of the sewers and into the light. There’s real heart underpinning this story of young friends confronted by an unspeakable and ancient evil. An evil that transcends time and space, that awakens to feed every 27 years. 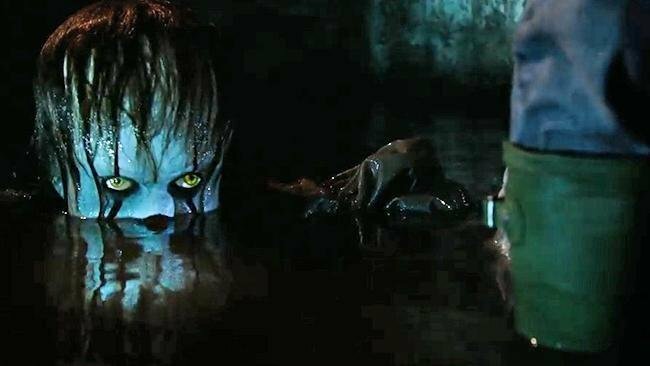 Muschietti’s adaptation is drenched in dread and contains striking moments of horror while being able to drop comic nuggets in all the right places.The monster is the figurehead; Skarsgard’s Pennywise is ferocious, edgy and his performance carries an air of unpredictability compared to Tim Curry’s more ‘human’ version in the miniseries. There’s little humanity to reason with here nor is there any inkling that the clown can be defeated. Big budget studio horror that even Stephen King himself gave a mark of approval. 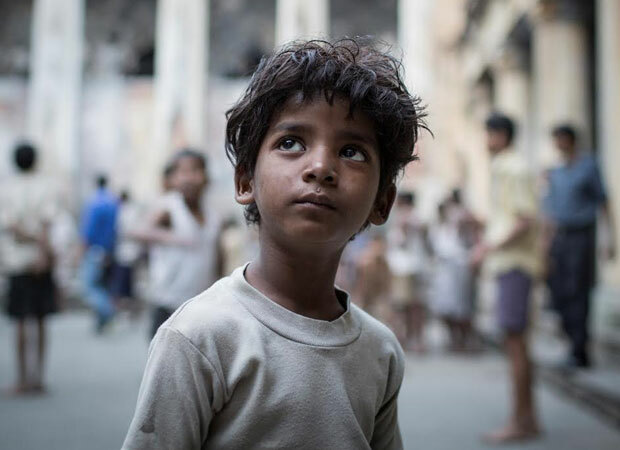 Dev Patel comes of age in this tear-jerker inspired by the true story of Saroo, a five-year old boy who gets lost on a train which journeys across the breadth of India before ultimately being sent off to Australia to live with foster parents. Lion charts the awe-inspiring quest of a man trying to trace his steps and locate his lost family. A moving tribute to a remarkable story that tackles fundamental questions of identity and belonging but does so in a beautifully cinematic way. Another fine turn for Nicole Kidman in 2017 after her traumatic performance in The Killing of a Sacred Deer. 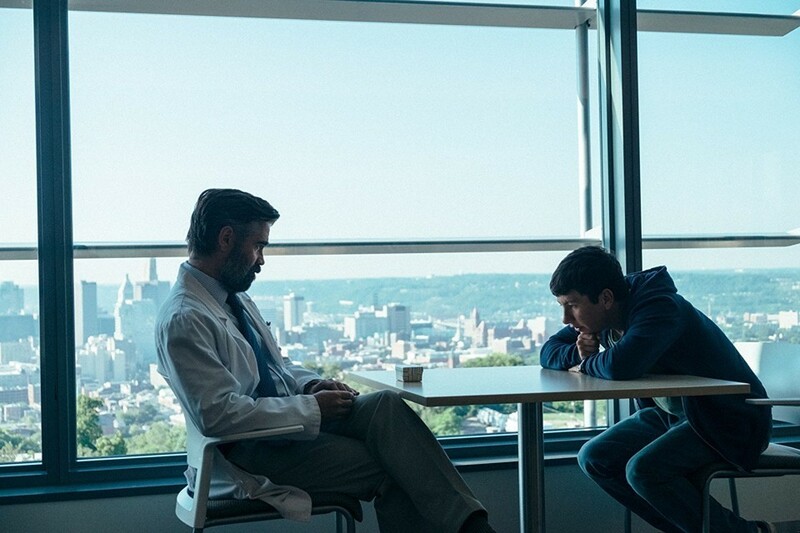 A return to form for M Night Shyamalan with his best film since The Village (2002). 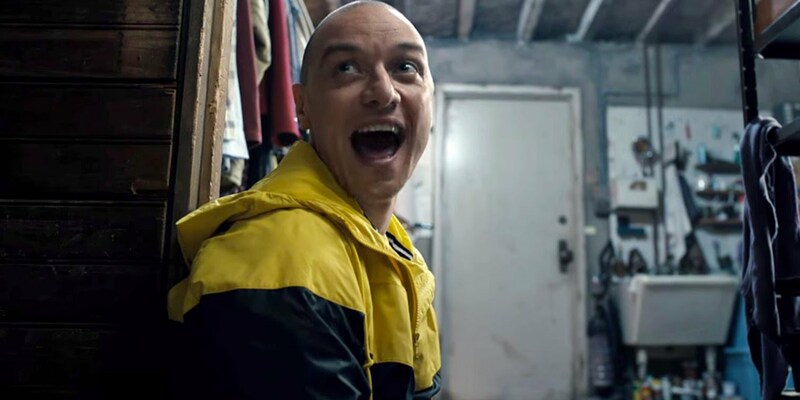 James McAvoy is phenomenal as the kidnapper diagnosed with 23 different personalities who takes three girls captive. It’s a gripping, hair-raising feeling witnessing the Scot at the very peak of his powers as he effortlessly glides from one persona to the next. It’s a remarkable achievement and one that thrusts us into that distressing position of waiting to see who or what will emerge next. It wouldn’t be complete without the supernatural dimension with ‘The Beast’ unleashing itself into the fold. Asghar Farhadi’s pulsating drama is drenched in a brand of mystery that resembles a dark cloud on a stormy night. While a teacher and his wife are taking part in Arthur Miller’s ‘Death of a Salesman’, the teacher’s wife is assaulted in their new apartment with an ominous lack of knowledge on the real identity of the perpetrator. So ensues a formidable mission to track down the assailant despite his wife’s objections. Tense filmmaking from the master. There isn’t anything quite like this beautifully crafted ode to life, love and legacy. It’s one of the strangest but most affecting things i’ve seen in a long time. David Lowery has crafted a dreamy vision that shows rather than tells, stares rather than glimpses. Gazing on grief from a different perspective is empty and sombre. We are the ones thrust into a voyeuristic act of lingering behind. Enduring while others move on. Lowery’s able to convey the weight of history and transient nature of our life on earth. A cloaked apparition is standing in the corner of the room. Observing. Analysing. Being. It’s a presence that it’s indescribably poignant and one that is hauntingly unshakable. 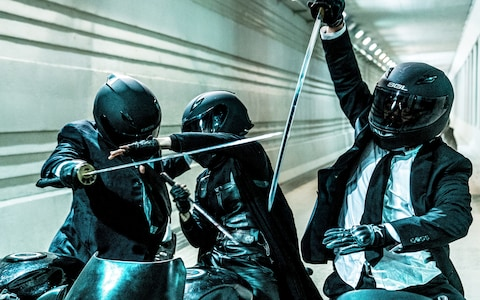 Korea’s love letter to The Raid, Oldboy and Kill Bill; Jung Byung-gil’s ultra-violent thriller is a dizzying descent into mayhem with spectacularly choreographed action set-pieces. This is a head trip of frenetic combat sequences and melodrama which is at its very best when in full-blooded kill mode. The opening ten minute salvo sees female assassin Sook-Hee raid a warehouse and take out dozens of criminals in a survival horror first person camera mode. Not for the faint of heart but one that carves out a niche in the heart of Asian genre cinema. Kenneth Lonergan’s muted tale of loss ripped out my heart and stomped all over it. There’s a profound sadness in Manchester by the Sea that lingers and never quite leaves. Efforts to quash its lasting effect have been futile like the very nature of grief. It can be overcome, ignored and even silenced. It can be worn down by the weight of time, swallowed by the shifting sands of the mind but never be vanquished entirely. The demon of heartbreak occasionally rears its prickly head as a quaint reminder or unleashes a towering flood of unfathomable emotion. Lonergan’s superb script is filled with a terse humour that offers seldom respite from its melancholic tone. 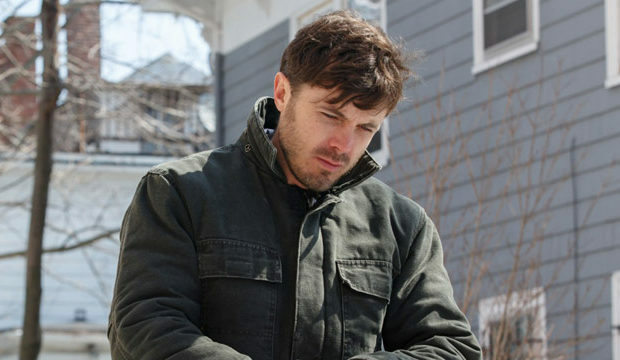 Casey Affleck’s astonishingly understated turn as Lee Chandler is able to encompass myriad of emotions, it’s a colossal, career-defining achievement. Barry Jenkins’ electrifies the soul with his raw and heartfelt exploration of identity in this searing, much-awaited follow-up to Medicine for Melancholy (2008). The collaboration and adaptation of Tarell Alvin McCraney’s unpublished play ‘In Moonlight Black Boys Look Blue’ reaps immense rewards. Moonlight is urgent film making that pierces with immediacy and cultural relevance. The director is exorcising his own demons as the early life of the vulnerable Chiron plays out in a spellbinding triptych. Each awakening a new wave of deep and heartfelt emotion as a young boy grows to become a man in the tough streets of Miami. He is the son of a crack addict mother, an unsurprisingly absent father and at odds with the hyper-masculine social jungle that threatens to suffocate him. Bullied by regressive classmates who prey on his glaring timidity condemns him to the dwell in a tower of loneliness. 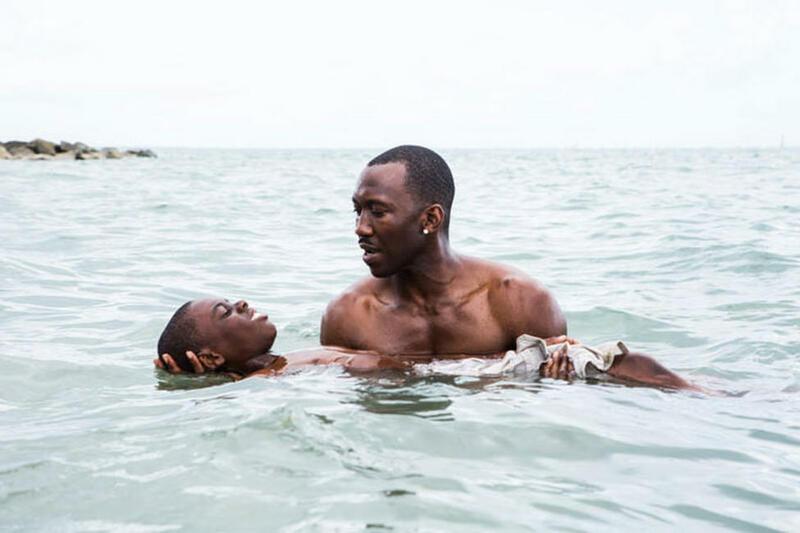 Moonlight plays like a fever dream, a ravishing wave of cerebral imagery that splinters the mind and serve as a requiem for the lives of many who have been underrepresented. Jordan Peele shoots a crackling firecracker into the mouth of the beast with this simmering debut. It does for genre cinema what Joss Wheadon’s game changing Cabin in the Woods did back in 2011. 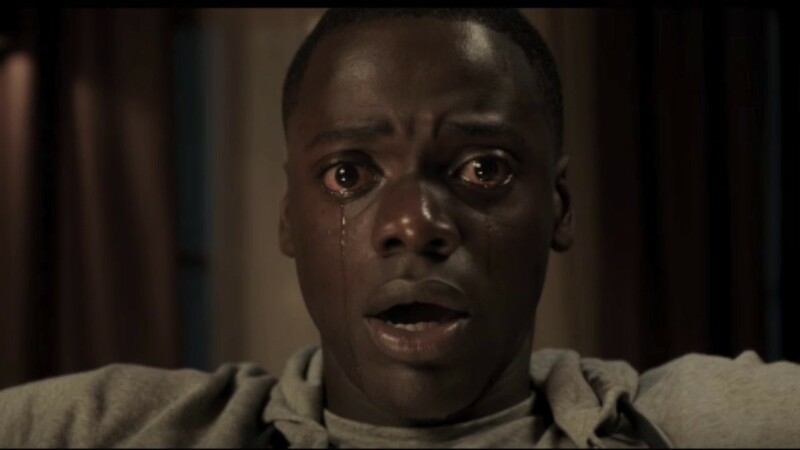 Get out re-invents the social thriller with an insightful and pointed stab to the heart of the ‘African American experience’. He effortlessly inter-plays myriad of timely topics in what unfolds as a cathartic experience. Mixed relationships, racism and slavery, the murky waters of eugenics and even police brutality are touched upon. Despite the heavy subject matter, the director’s comic roots shine brightly with a constant drip feed of humour as the antidote to anarchy. It’s hard to think of a crowd-pleaser quite like it. A sinister head-trip that suffocates. Peele’s greatest achievement is the resounding pay off which delights and wounds with every bludgeoning blow. Get Out isn’t afraid to tackle fundamental racial questions and push them to the very extreme. Welcome to a new breed of socialist horror that is likely to give birth to a wave of imitators. Is that the sound of a spinning spoon? Now sink into the floor. Sink. Disclaimer: I do not own any copyright to any of the cinematic posters/images in this blog post.